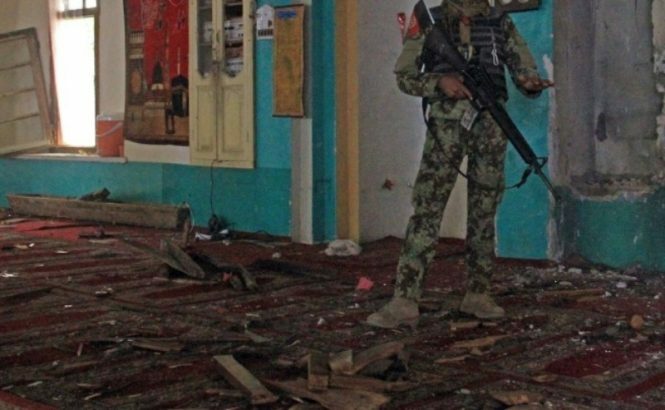 Security officials have reported 26 people were killed and 50 wounded in a suicide bombing on Friday in a mosque in the Ismail Khel district of Khost province, Afghanistan. Whilst there has been no immediate claims on who is responsible for the attack, the Taliban is believed to be responsible. The Taliban has waged a series of attacks against Afghan security forces in recent weeks in the hopes of ousting the Western-backed government and foreign forces. Captain Abdullahh, a military spokesperson in Khost told reporters that all those killed were working for the Afghan security forces. The attack follows another suicide bombing in Kabul, the state capital, where theologians gathered just three days before. This attack resulted in the deaths of 55 scholars who were celebrating the birth of the Prophet Mohammad and injured over 90.